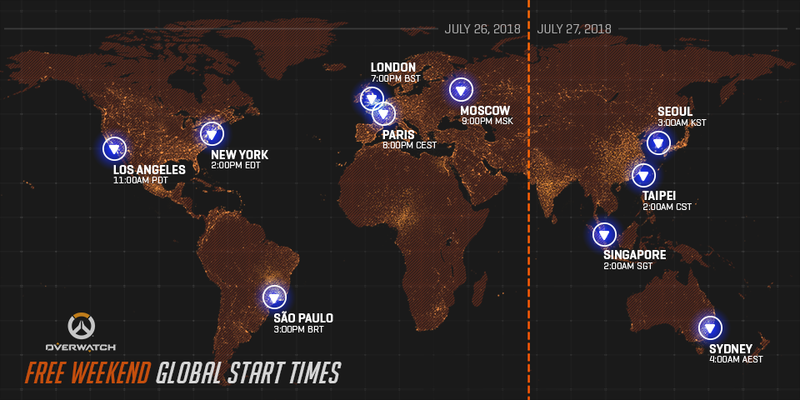 Overwatch will be free to play from Friday, 27 July at 4:00am AEST / 6:00am NZST through Tuesday, 31 July at 4:59pm AEST / 6:59pm NZST for PC only. During this free weekend, we're making Overwatch's full roster of 28 heroes and 18 maps available for play in a variety of modes, including Quick Play, Custom Games, and the Arcade. Players will also be able to level up, earn loot boxes, and unlock a variety of different customisation options. If players decide to purchase Overwatch after test driving the game, they’ll get to keep any progress made during the weekend—as long as they use the same Blizzard account that they played on.